So you’ve recently taken up a contact sport that has led to the loss of a tooth or several teeth. Or maybe you had a fun-filled weekend after which you realized (post-hangover) that one of your beloved teeth was missing. Missing teeth are a huge problem. Not only do the gaps make you feel self-conscious and thus impact your self-confidence, your health is impacted as well. Missing teeth lead to resorption, the medical term for melting away of bone or bone loss. It seems a bit dramatic to claim that losing your teeth could lead to bone loss, right? Well, it’s true. Teeth provide stimulation to the alveolar bone. In the absence of teeth, there is no stimulation and thus the bone starts to slowly melt away. The eventual result is that you start to lose the support and contouring of your face. This is why older people who have lost most of their teeth tend to have sunken cheeks. Implants are perhaps the best thing to happen to tooth replacement. Not only do they look completely natural, they function as natural teeth would. And what’s the bonus? Since the teeth are artificial, you don’t have to worry about decay. You can get all the perks of natural teeth without the worry that your sweet tooth habits will lead to consequences. Of course, this is not to say that you should be reckless once you get your dental implant. You must practice proper dental hygiene, which is proper brushing and flossing, even after getting your implants. The success rate for implants is currently placed at 95 percent, which is a pretty impressive statistic. You may be wondering, why do implants work so well? Well, here’s the reason why-the titanium root. The titanium root of the implant is the main reason why implants are so successful. Titanium is a metal that has one very special property-it can fuse with bone. This integration with bone allows the implant to become part of your body. It is not a foreign object that is constantly in competition with your body. It is an integrated and important part of your jawbone. For this reason, a dental implant becomes ‘accepted’ by your body as part of it, allowing you to use this new tooth without worrying about any ‘foreignness’. A crown is attached to the implant after bone integration has taken place. This crown is custom made and will look just like your natural teeth. It will actually be hard for someone else to tell where your natural teeth stop and where the dental implant starts. That’s how good implants are when it comes to your aesthetics. There you have it. 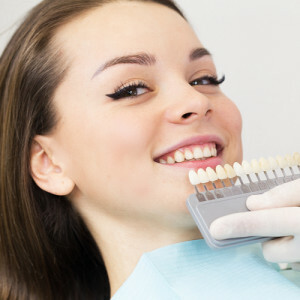 If you have been considering getting a missing tooth replaced, look no further than implants. If you are worried about the surgery that is involved, fret not. The surgery is minimally invasive and is conducted under local anesthesia. What this means is that if you have ever had an extraction at the dentist’s then you are more than prepared for dental implantation.